Over the weekend two very special friends from Devon visited. As they arrived late on Friday evening we stayed in and ate Mexican food whilst drinking mojitos and playing a ridiculous(ly funny) game called Cards Against Humanity, then on Saturday we went to some exhibitions in Chelsea. 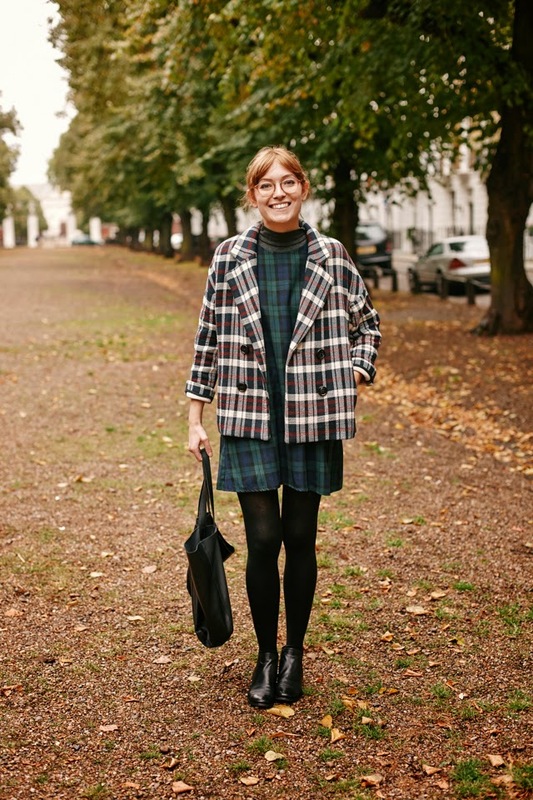 Theres a fab website called This at There, which tells you what's on in London - there are so many amazing free exhibitions, so it's worth checking "TAT" regularly to find out what's happening where! First we went to the Tower of London to see the beautiful poppy installation; thousands of ceramic poppies have flooded the tower's grounds in memory of those who died during the First World War. 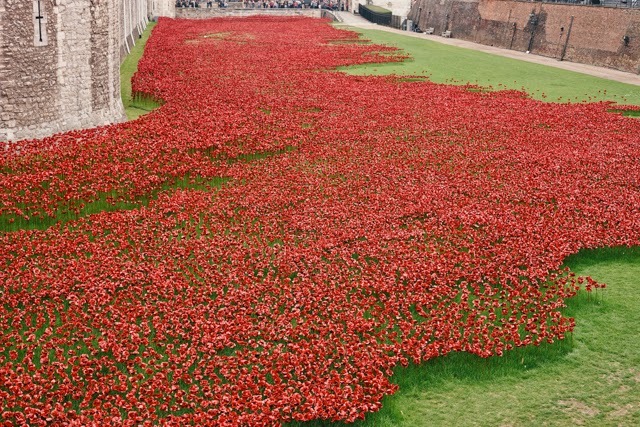 Eventually, by the 11th November, an amazing 888,246 poppies will have been placed. 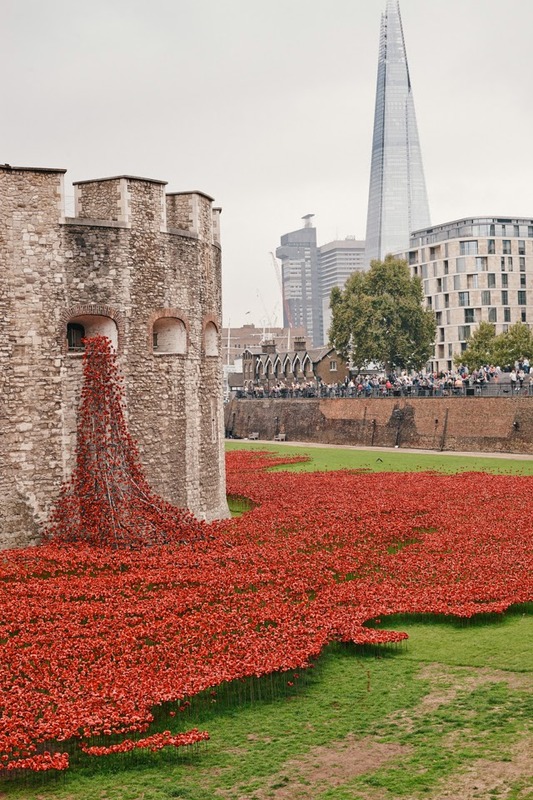 It was a stunning sight, there are just so many, but it also eerily looks like blood seeping out of the tower.... you can find out more, and even buy one of the poppies, here. We then headed West to the Saatchi gallery where we saw an interesting installation called New Art from Africa and Latin America, and also went to the Private Apartment of Mademoiselle Chanel exhibition on the second floor. It was very interesting of course, she was a fascinating woman with a fascinating life, but I couldn't help feeling a little down afterwards. The gallery space and photography itself was very dark and gloomy.... very much like the end of her life apparently. On a brighter note, we then popped to Chelsea's Proud gallery, where they're currently exhibiting old images of Jane and Serge. I find their love affair so inspiring and these images, which were taken by Jane's brother Andrew, are so full of life and character, it's definitely worth going to if you can make it before it finishes on the 26th October. 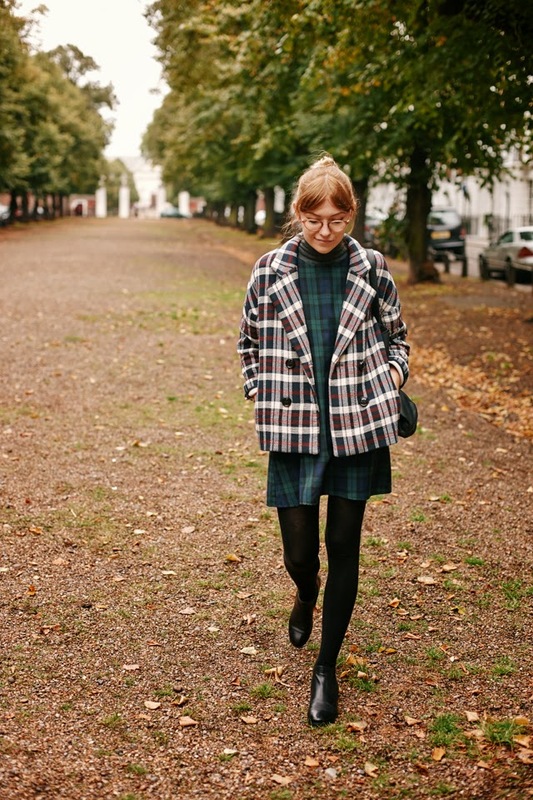 I wore my favourite tartan dress by Mod Dolly with a grey jersey funnel neck underneath, and a check jacket from Zara. As anticipated, I've been wearing my Jigsaw pixie boots* nearly everyday! They're a great alternative to my DMs and I wear them when I fancy looking a little more sophisticated!